The Medium Premium Contemporary shows off your most precious memories. 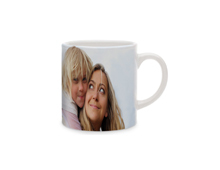 Its 100% personalizable photo cover gives it a contemporary, bold look. The gloss finish of the cover and the satin varnish of the inner pages heighten the colours of your memories. Holidays in the South, city trips, births, anniversaries, photo journalism... This Photo Book is a handsome book to leaf through whenever you like, one you won’t be able to put down. Why not offer it as a gift? Your friends and family will be surprised, touched and delighted. Ultra-resistant fine binding for 30 to 150 pages. Photo of a Large cover with headbands. The first of Contemporary range. Exceptional dimensions for unforgettable memories.